On Wednesday night my boyfriend and I spoke at the Plastic Free July closing ceremony about how our lives had changed since taking part in Plastic Free July last year. It was lovely to be asked to speak, and great to be able to share with the community what it had meant to us. It was also a chance for us to reflect on how far we had come. 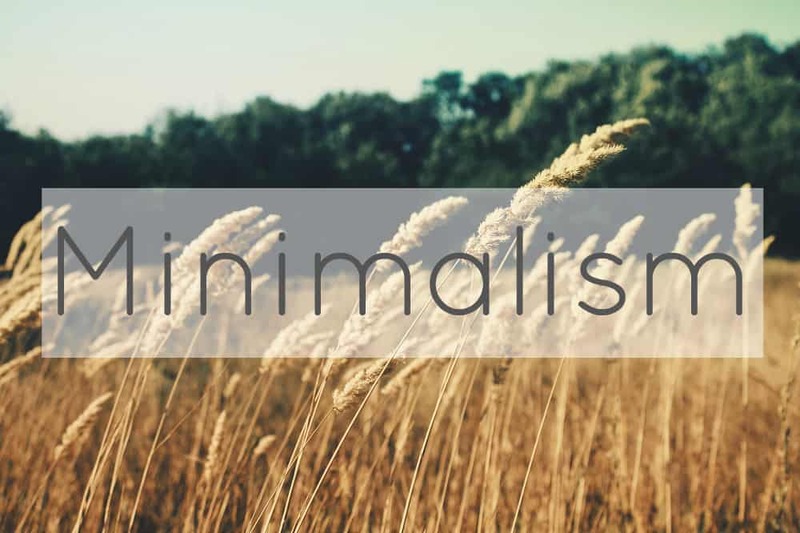 Whilst it’s still fresh in my mind I thought it would be good to share on the blog too. When we signed up for Plastic Free July in 2012, I have to confess, I thought it was going to be easy. 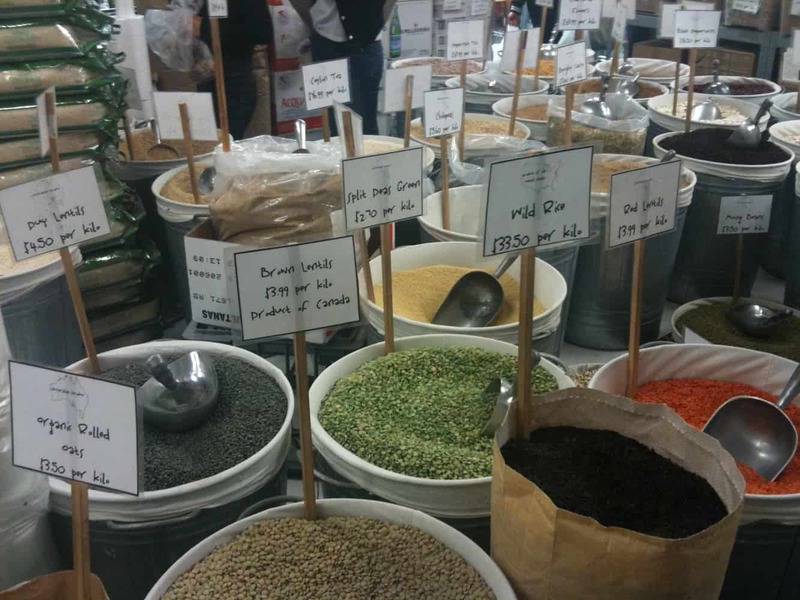 I thought that we were pretty sustainable already – after all, we took our own shopping bags to the supermarket! I figured we’d buy a few more things in jars, a few more things in cardboard packets, and it would be a breeze. Then I saw the movie Bag It. If you haven’t seen this movie, I beg you to seek it out. It’s a documentary that’s funny, clever, down to earth and it gives out so much information without overloading the viewer. I think I’ve seen it five times now and each time I get something new out of it. I know others who have seen environmental movies and claimed it changed their lives. An Inconvenient Truth is one. The End of Suburbia is another. I haven’t seen either of these, but for me, Bag It was one of those movies. After seeing it, I knew there was so much more I could do. I also knew it wouldn’t be something we just tried for a month. After July was over, we intended to carry on. July 1st came around, and the challenge began. We realised that if we weren’t going to starve we would probably have to make some big changes to our shopping habits. Instead of taking bags at the shop, we re-used old bags – both plastic ones that we already had and also paper bags – and also went to a workshop and made our own washable cloth bags. We also took our own containers to the deli counter and got reusable cups which we carry everywhere with us. Another simple change we made was to buy bar soap rather than shower gel and liquid handwash that come in plastic. 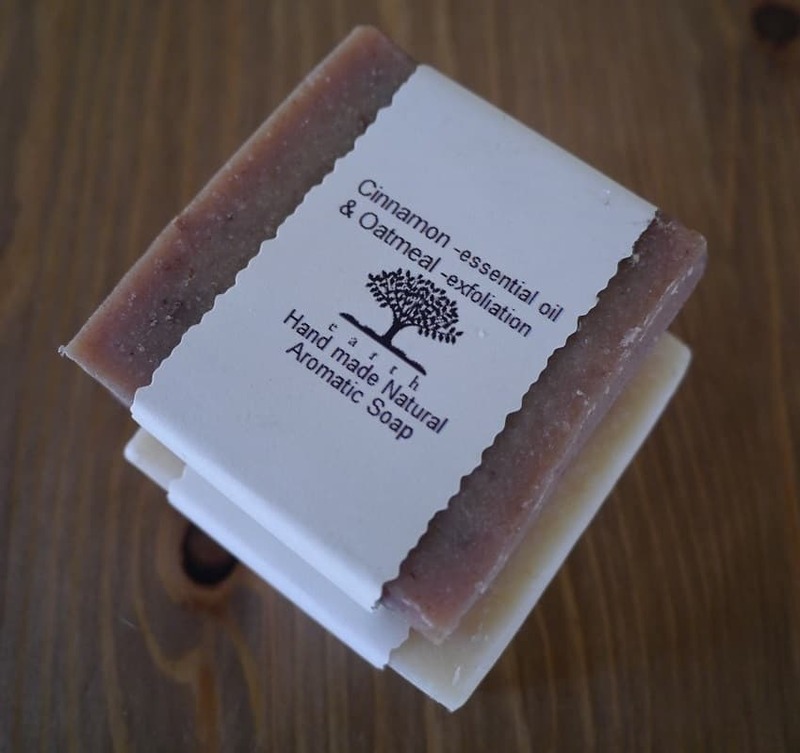 We choose soap made with natural ingredients and without chemicals or additives so we can avoid all that nastiness too, plus it’s made locally by a woman with her own natural skincare and aromatherapy oil business. Wins all round! So what else? We started buying more of our stuff second-hand. When we moved into our flat we had committed to buying all our furniture second-hand, but after Plastic Free July we started buying second-hand kitchen appliances, and now we always check to see if we can get something we need pre-loved rather than getting a brand new version from the shops. We make great use of our local library. As well as the obvious books, our library also lends magazines, CDs and DVDs free of charge. This is great if it’s something we just want to flick through, watch once or have a quick listen, as we can then return it for someone else to use. It’s a great way of cutting down on plastic, but also less wasteful of resources and takes up less space in the flat. After all, how many times do you watch most of your DVDs or read most of your magazines? We also started switching plastic items with non-plastic alternatives as they needed replacing. 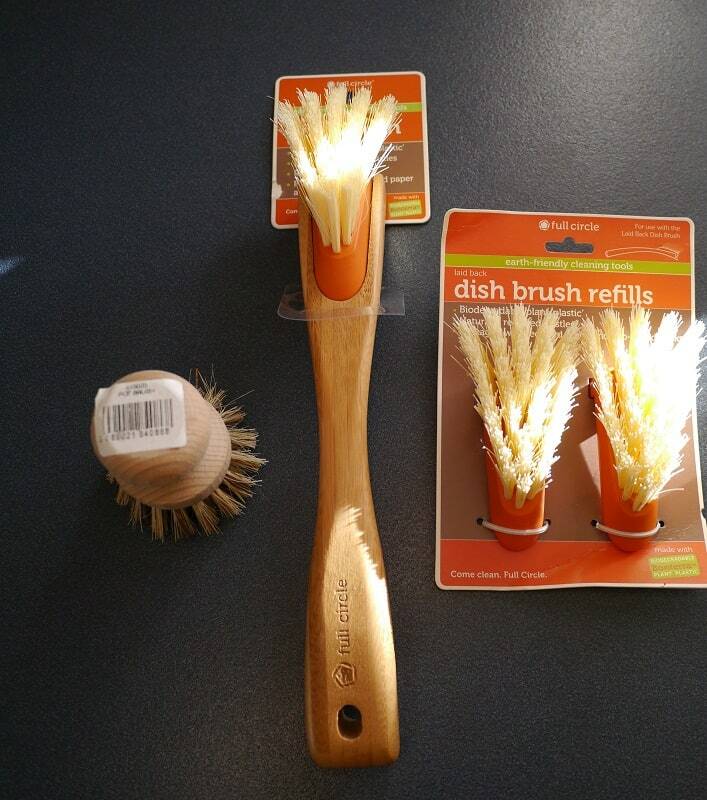 This cleaning brush on the right is made by a company called Full Circle (their Australian site is here). It has a bamboo handle and the heads can be replaced so you don’t need to throw the whole thing away. The head is made of bioplastic and the bristles are a mix of natural fibres and recycled plastic fibres. I’m not quite at the stage of knitting my own dishcloths yet (I don’t know how to knit, for a start) so this is a good compromise for now. The brush on the left is wood and natural bristles. the entire journey, and then my boyfriend used it at work for several months until the prongs finally snapped. Wouldn’t have happened with a metal fork though, would it?! 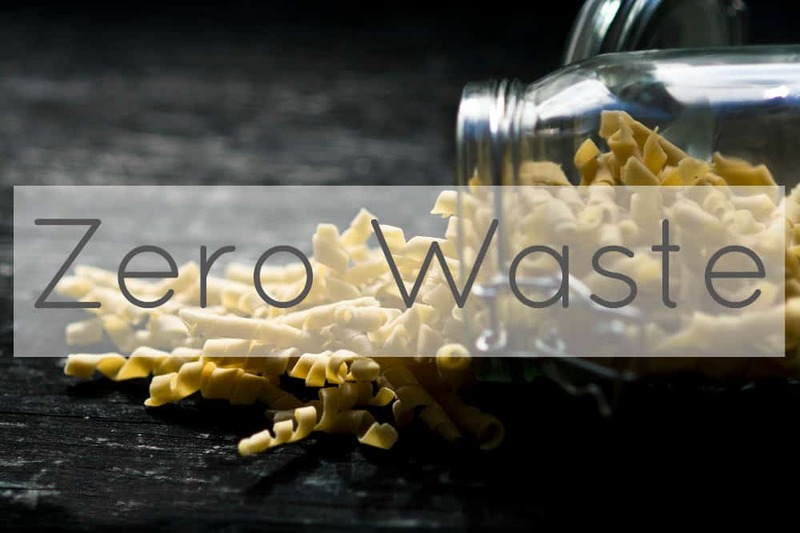 After Plastic Free July was over, the Earth Carers, that fantastic group of people that came up with the Plastic Free July challenge in the first place, ran a 5 session course on waste. Having been inspired by Plastic Free July we went along. 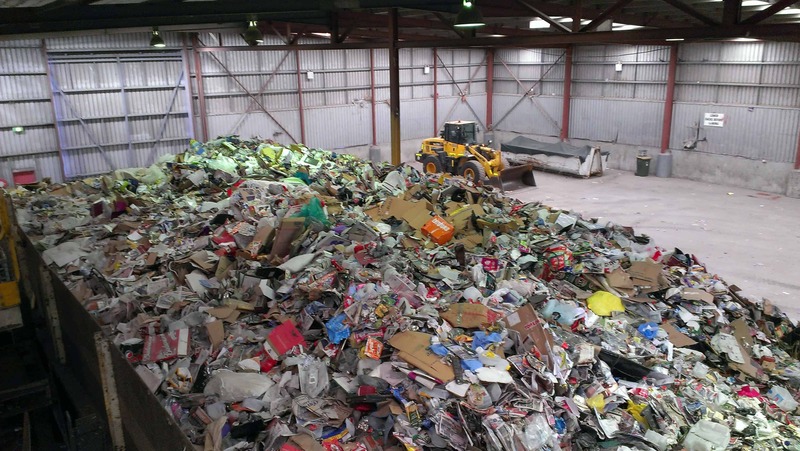 One of the days was a trip to a rubbish tip and a recycling facility. One of the big changes you’ll probably have found if you took part in the Plastic Free July challenge is that you ended up with a lot more glass bottles and jars. This happened to us, and we continued to recycle them diligently until we visited a recycling facility. This massive smelly heap is the recycling collected from just a few suburbs of Perth in one afternoon. I also found out that a lot of recycling is actually shipped to Asia for processing, and glass is often trucked thousands of kilometres to be processed in a different state. The glass that is recycled in Perth is often used for road base – not shiny new glass bottles. 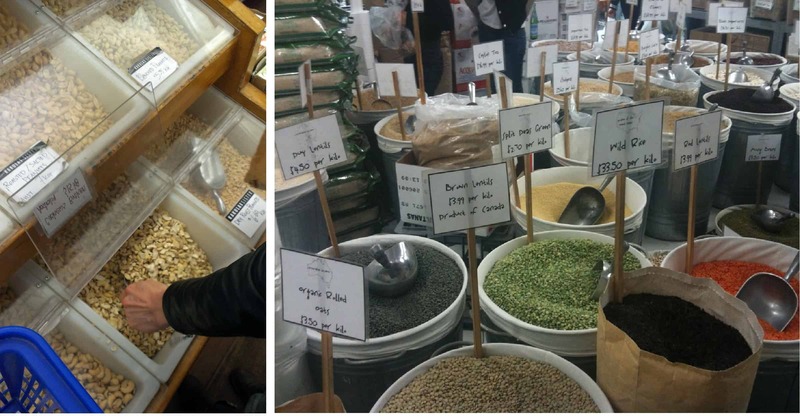 Even with the pantry heavily stocked with bulk items stored in glass jars, we were still accumulating more and didn’t have the space to store them indefinitely. To cut them out I decided to make more food from scratch. We committed to try to avoid buying as much as we could in any kind of packaging. So I learnt how to make yoghurt, labne cheese and sourdough bread, amongst other things. I also learnt how to make deodorant and toothpaste. I hope eventually to make most of my own cosmetics and skincare, but I haven’t got round to it yet. The other interesting thing that happened, and arguably the best thing, is that we became a lot more involved in our local community. After the Earth Carers course we also enrolled in a 10 topic, 7 week sustainability course called Living Smart. It focuses on individual behaviour change and goal-setting, and has been a great way to meet like-minded people who live in our area. My boyfriend and I have both completed the Living Smart facilitator training course that allows us to run our own Living Smart courses. So far I’ve had the chance to present at a few courses and we’re looking forward to running our own by the end of the year. One of our biggest achievements over the year has been finding the balance between wanting to consume as little plastic as possible whilst still wanting to stay sane, be happy and remain part of society! There’s no point in depriving ourselves of things if it’s going to make us miserable. After Plastic Free July I thought we’d become plastic extremists and never buy a single thing in plastic ever again. Over time we’ve come to realise that emergencies happen, sometimes we have to compromise and sometimes, plastic can actually be useful. 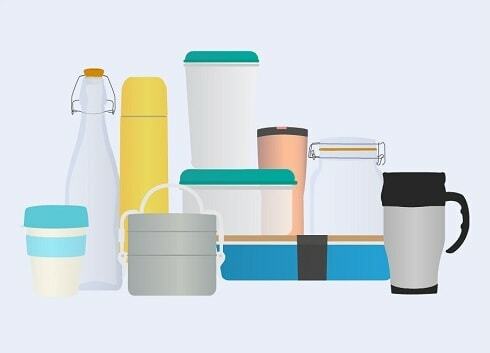 So we do still end up with plastic – here are the main examples. Firstly, there’s sneaky plastic. If you took part in Plastic Free July, did you buy something thinking that it was plastic free, only to find that beneath the deceptive cardboard outer, some plastic was lurking inside? Yep, us too. Secondly, there’s the unavoidable plastic. Despite our best efforts to buy second hand, we sometimes need to buy new things, and these often come with all the little bits and pieces wrapped in unnecessary plastic bags. For example, when I decided to make my own yoghurt I bought a wide-neck flask and a milk thermometer new because I couldn’t find either second hand. Both of these had stupid unnecessary plastic, but it helped stop waste further along. Another thing I’ve found impossible to avoid is plastic lids on glass bottles, or plastic linings inside metal lids, although I buy as few as I can and refill where possible. Finally, there’s guilty pleasures. These are the things that contain single use disposable plastic but we continue to buy anyway. 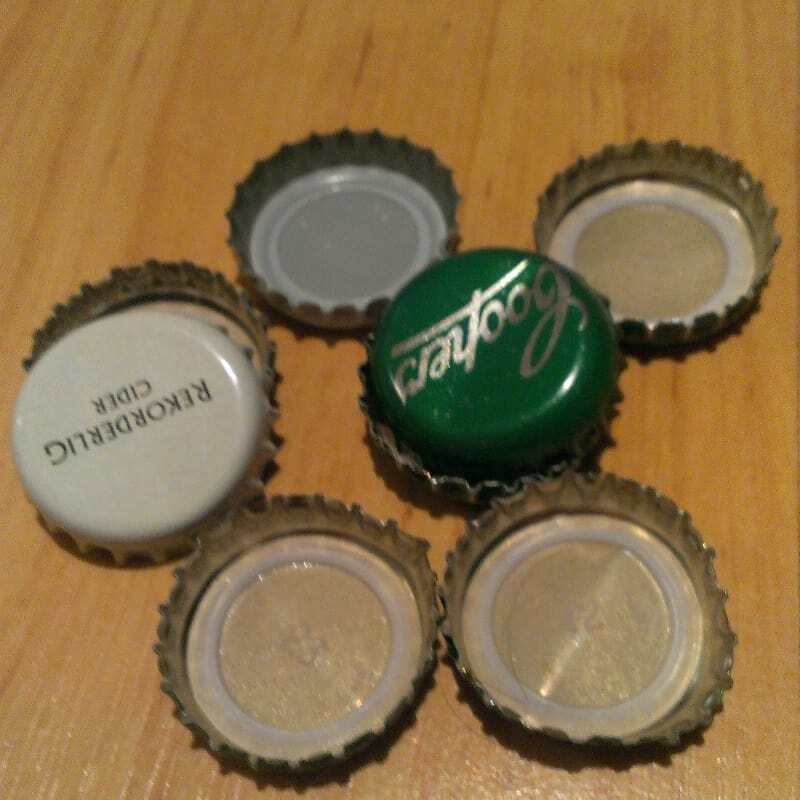 My boyfriend’s top example is beer bottle tops. Maybe when we have our own place he can try his hand at homebrew. Hopefully he will turn out to be a master brewer; otherwise I think these are likely to stay. Birthday and Christmas presents to each other are excluded from the plastic-free rule too – although we keep it for gifts we give to everyone else in the family! We never go crazy though. 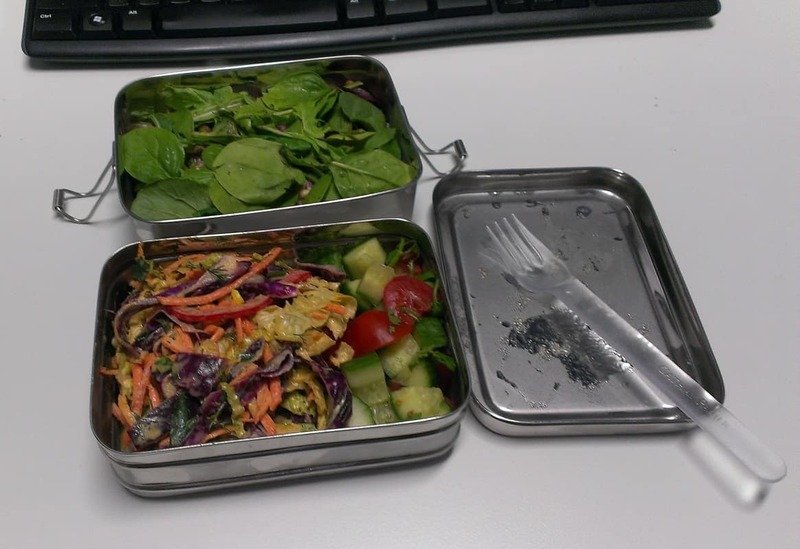 The stainless steel lunchbox purchased last Christmas actually came in a plastic bag, and I received a board game with various bits and pieces packaged in plastic. Still pretty old-school, really! If you’d asked me a year ago how Plastic Free July would have affected me, I wouldn’t have guessed anywhere close to where I am now. I think the main lesson has been to take things slowly, and keep at one new thing until it becomes a habit before starting the next thing. A lot of this is now second nature to us, but it took a bit of work to get there. The other important lesson has to be not to berate others for their choices. Everyone is on their own journey and if you want to inspire your friends and family to change their habits too, it is far better to lead by example than berate them for what they aren’t doing! Once people see you quietly getting on with things, hopefully they will be inspired to try things out for themselves. Everyone needs time! 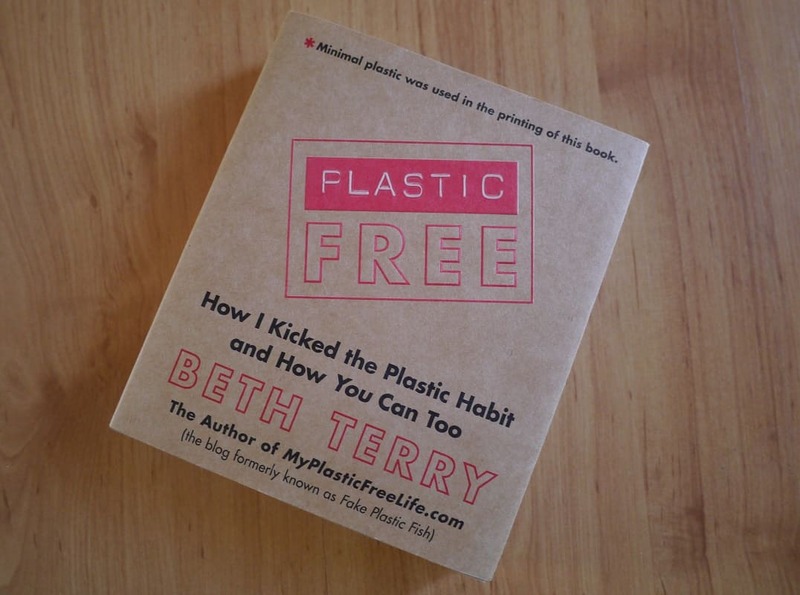 As a thank-you for presenting we were given a copy of Beth Terry’s Plastic Free book. Despite being so committed to plastic free living I’ve never actually read this book, so I’m looking forward to any new inspiration that it brings! 23 Comments • Leave a comment! 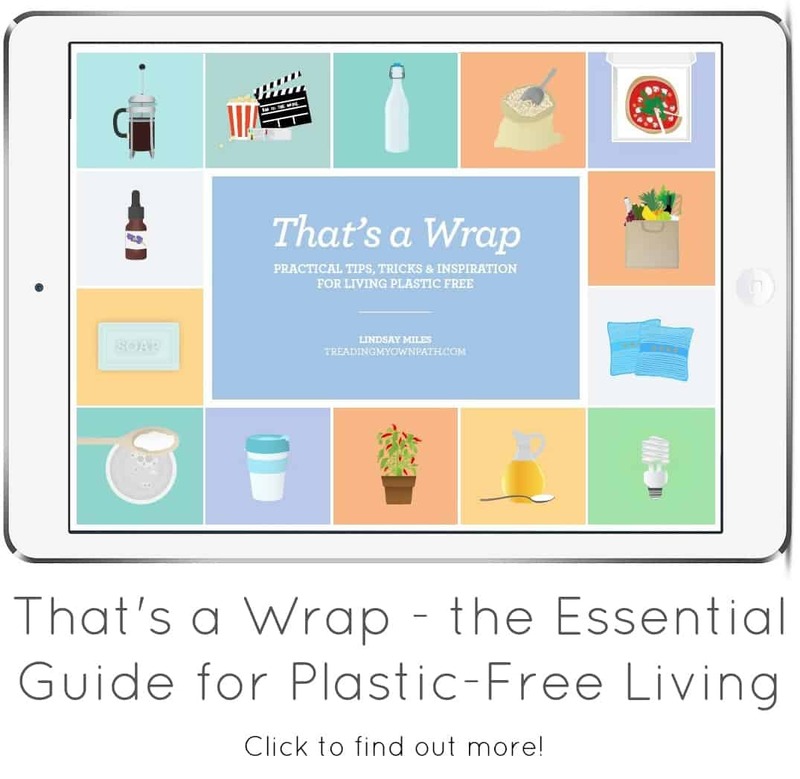 ← You’ve made it: the last day of Plastic Free July! I thought I was following your blog but must have goofed up somehow. I see now I’ve missed some great posts (and I “re-followed”). You are way ahead of me on plastic-free, but I’m trying, and much more aware now. I hadn’t thought of finding a local supply for soap – what a good idea. I’ve gone back to making yogurt with success, so planned to branch out today with almond milk (though I’m not up to making my own almond milk yet; thanks for the heads-up on that too). Thanks for re-following : ) It’s interesting because if I’d have been told a year ago that I’d be where I am now on this journey I’d never have believed it! Awareness is the first step. 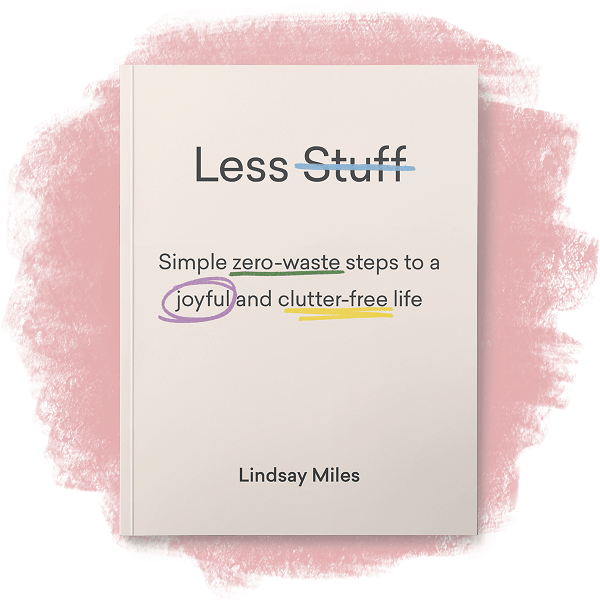 I’m finding your decluttering efforts inspiring in return… That’s what I need to work on now : ) I’m getting better…! 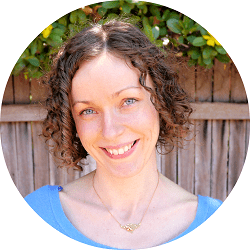 What a brilliant blog! 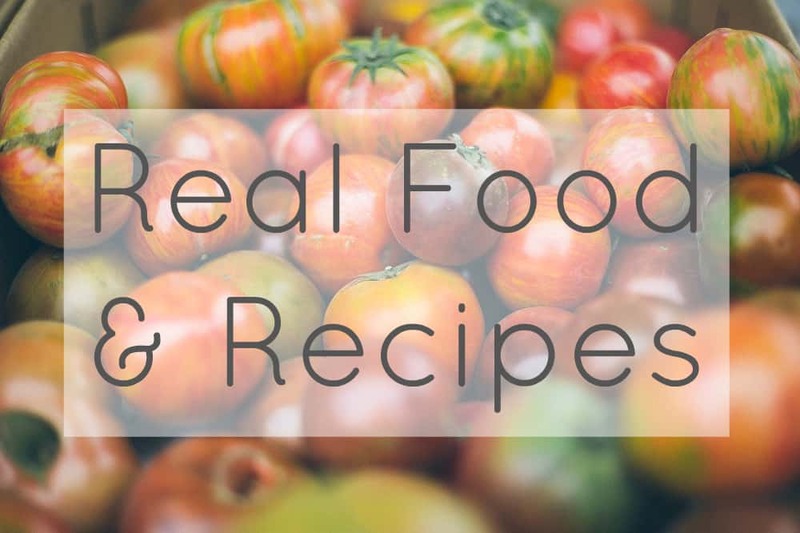 I loved the thought and effort that went into your sharing, and it reinspired me too. I am truly envious of what you have achieved and am glad we will keep seeing you in our lives! I can’t wait until you see The Clean Bin Project. some good habits, and it will be much less overwhelming than throwing yourself in the deep end come July! I also thank you for the inspiration you gave with these posts! I only made it halfway through the month, and wasn’t even able to give a final report, because of having to make an emergency trip to the USA to care for my sick mother. But I plan to rejoin next year. Thanks, it’s great that you made it through two weeks : ) Look forward to your rejoining next year too! Thanks for sharing! I did PFJ for the first time this year. You are far along the journey compared to me but I look forward to making more changes to avoid waste. I have been planning to do a trip out to a recycling facility – it is sad to hear that glass is really “de-cycled” not recycled. Going to a Recycling Plant was such an eye-opener for me. All the paper and card was bundled and shipped to China and so much stuff gets “contaminated” and ends up going to landfill. The place I went, if recycling is placed in plastic bags (i.e. not loose) then it’s sent to landfill as they can’t risk opening them- and don’t have time. Same for bottles etc that haven’t been emptied. We need to do as much as we can to make sure as little as possible is sent there in the first place… Enjoy your trip and let me know how you get on! Hi there, I got it from an eBay seller in Australia called water_sweet (if you use the ‘advanced’ search function you can search by seller name). He has other boxes too but that one was my favourite! Linsday, I hope you enjoyed reading Plastic-Free even though many of the resources are American. I’m currently working on an updated version which will be out in April, and I’m adding a new International section. 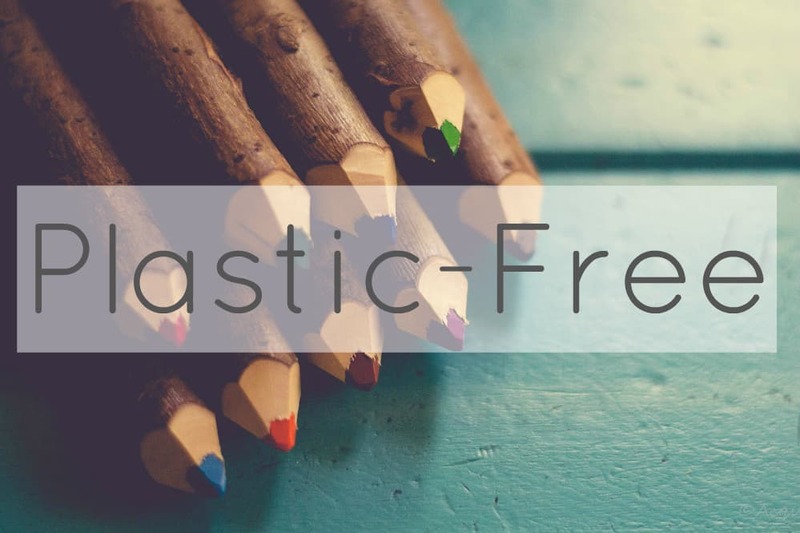 I’m going to mention your blog in the part about Plastic-Free July. Great work! Hi Beth, thanks so much for your comment! : ) Yes I did thanks – it actually inspired me to do a little project of my own, but more about that later…! I look forward to hearing about your updated version. 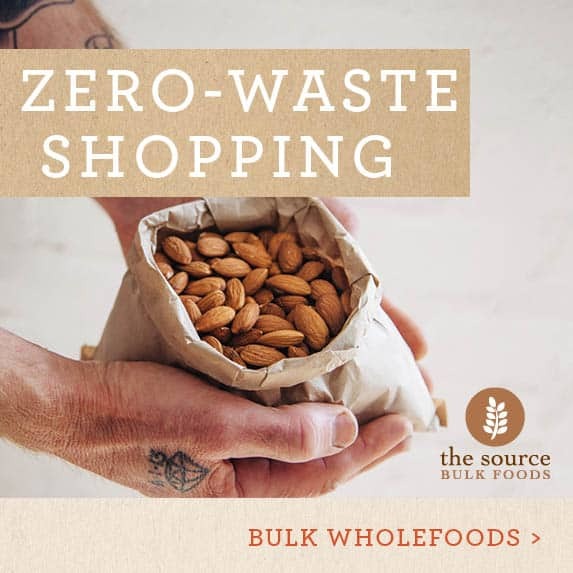 I thought you might enjoy these homemade bulk food bags I designed and made. Hi Lindsay, just had a question. With products like your dish brush- what do you do with the replaceable brush head, and the handle (if it required replacing)? I imagine the brush head would go into plastic recycling, but what about the handle? Is wood able to be recycled?